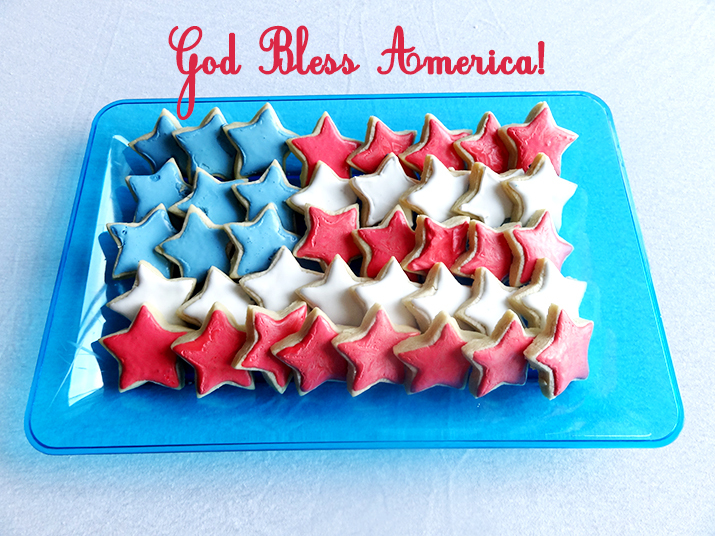 I saw this picture on Pinterest last week of an adorable platter of sugar cookies laid out like a flag. I have a signature sugar cookie recipe I've been making since about 4th grade, so when I saw this I knew my cookies would be the perfect sweet treat to make for the fourth! You can't beat my sugar cookies, buuuuut I've been wanting to try Emily's recipe to see if there are as good. What I love about the recipe she uses is the cookies don't spread once baked. My recipe is a little soft and the shapes tend to get a little deformed sometimes. Her recipe for royal icing is wonderful as well. It is super easy and doesn't taste like glue! Of course I tweaked the recipe a bit because I can't help but make something my own! A teaspoon of vanilla was added to the cookie dough and a 1/2 teaspoon of almond extract was added to the icing. Bravo Emily, your cookies are just about as good as mine! Here is the link for the cookie recipe! I used a fairly small cookie cutter, but I rolled the dough out thick so they are still a substantial size! These little stars are just too cute! I love holiday food! I can't wait to share these with my friends at our cook-out today! Happy Fourth of July! p.s. 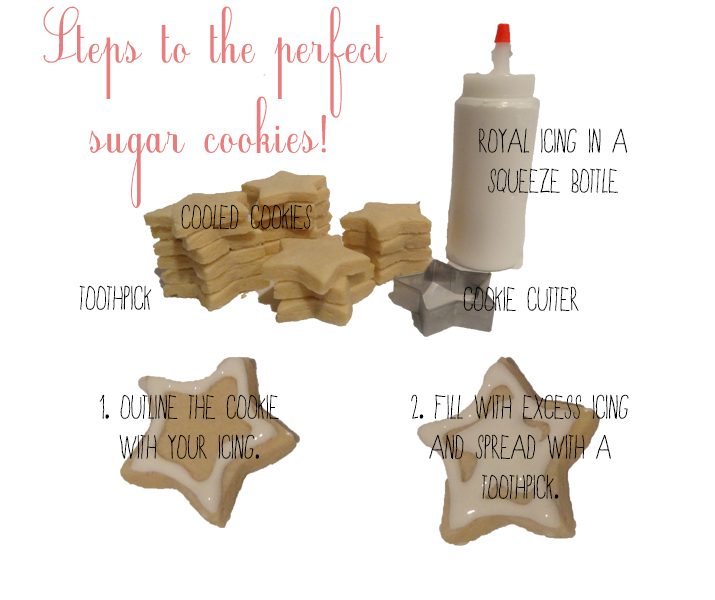 If you're lucky maybe I'll share my secret sugar cookie recipe one day!